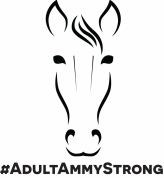 Connecting the adult amateur equestrian community. Balancing life in and out of the saddle is something all adult amateurs face. ​Full-time jobs, families, and many other aspects of life can affect time spent in the saddle.